Scott is the Vice President of PLM Services Architecture and Execution at Zero Wait-State. His business architecture expertise is utilized in overseeing the development and execution of consulting services for product lifecycle management solutions. He is also responsible for the development of infrastructure and procedures to support the internal operations related to these activities and maximizing business outcomes for Zero Wait-State clients. He is an outcomes focused leader, bolstered by an array of acquired skills and industry experience. Key strengths include analytical problem solving and a passion for enabling speed, scale, efficiency, quality, and flexibility for business operations and systems development. He is a champion for continuous improvement and skilled in leading teams, planning, training, communications and implementation for major software updates and transitions. He is committed to team and customer success. 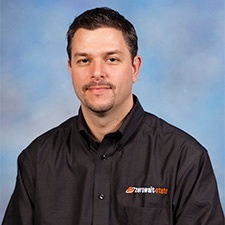 Prior to joining Zero Wait-State, Scott progressed through evolving roles at Cisco Systems where he was an engineer responsible for product development, led the cross-functional solutions design team for the first major phase of PLM implementation at Cisco, was a certified business architect leading the functional definition for key service delivery and technical support programs, and served as an apprentice for an executive board. He received repeated recognition from the Cisco Achievement Program during his entire tenure at Cisco Systems. He has received several certifications and awards due to his expertise and influential leadership skills. Scott was also a course instructor at the University of Illinois and currently holds 5 US Patents.